Italian Pesto Pasta Salad is a flavorful side dish that’s guaranteed to be the star of every potluck or get-together you attend. 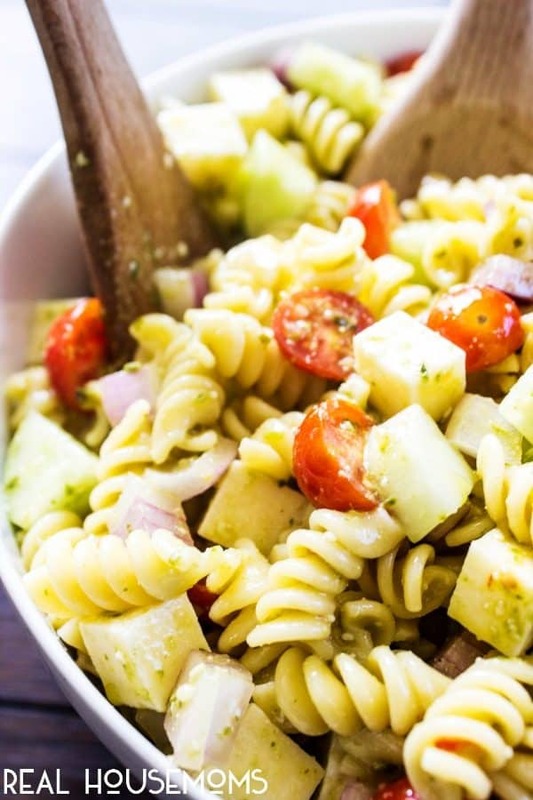 The addition of the pesto turns this classic pasta salad into a summer must have! I love pasta salads in the summer months, more like obsessed. I even find myself at our local grocery store sampling all the pasta salads, that I might want to either recreate or eat that night for dinner. I fill up so much on samples that I rarely order any to go. But this Italian Pesto Pasta Salad caught my attention and I had to make it mine! In our family, we rarely have pasta salads because the rest of the family aren’t big fans. But I was inspired to make this Italian Pesto Pasta Salad after a trip to Costco and my hubs buying a large container of pesto. My mom’s best friend, Jean makes this killer pasta salad that we all love. Last year I asked her for the recipe and she gave me the list of ingredients and I felt cheated because the only seasoning was an Italian dressing. It was one of those recipes that are so good that you were thinking it was more complicated than that. I’ve made that pasta salad more than a few times. This last batch I decided to eliminate the sausage in the pasta salad and add some pesto in with the Italian dressing. Huge success! My husband who detests pasta salad even loved it. He ate it all (except the cucumbers) and even has seconds and thirds. He said this was the best pasta salad ever! Which is a huge compliment coming from a pasta salad hater. 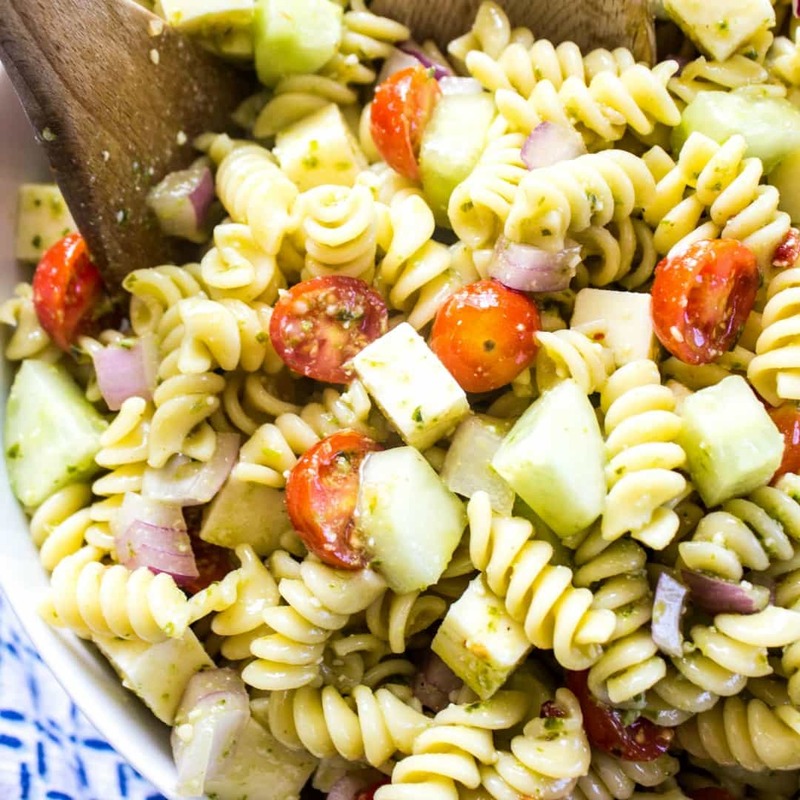 So in these last months of summer, this Italian Pesto Pasta Salad is a must try. And why stop making pasta salads at the end of summer, try this one all year long. Italian Pesto Pasta Salad is a flavorful side dish that's guaranteed to be the star of every potluck or get-together you attend. 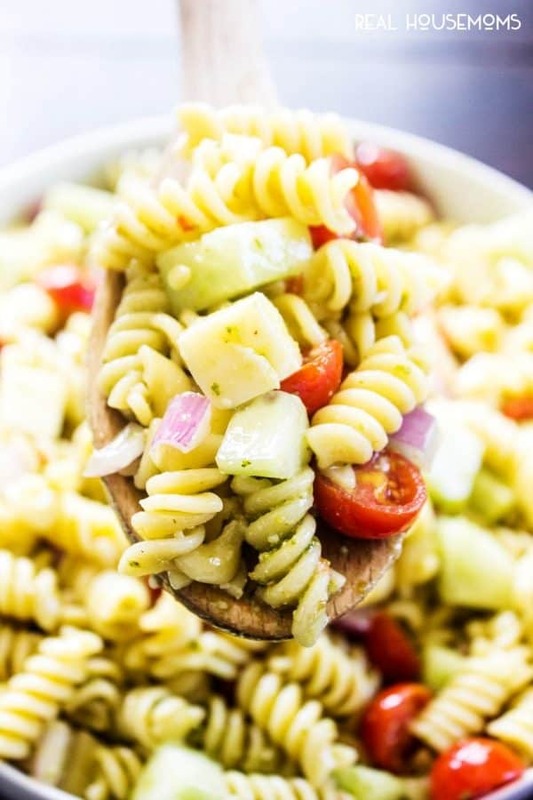 The addition of the pesto turns this classic pasta salad into a summer must have! Drain and rinse with cold water. Allow to completely cool to room temperature. 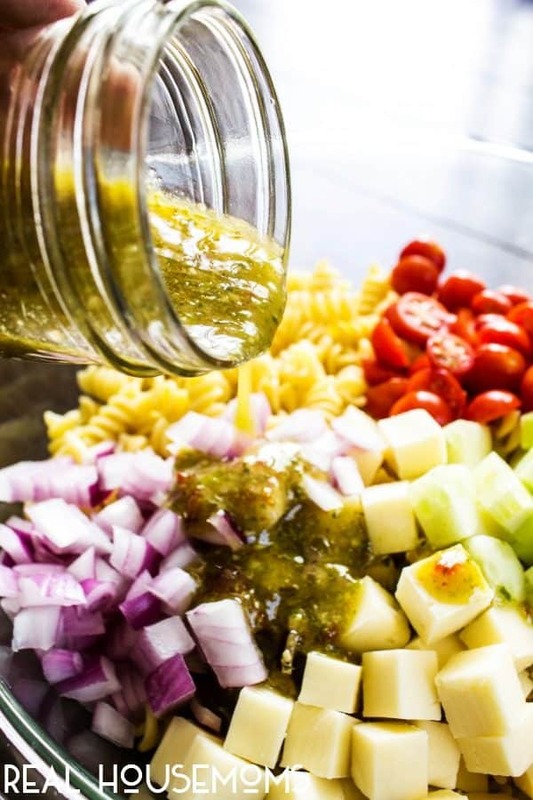 In a mason jar add Italian salad dressing and pesto - screw on mason jar lid and vigorously shake to combine dressing and pesto. 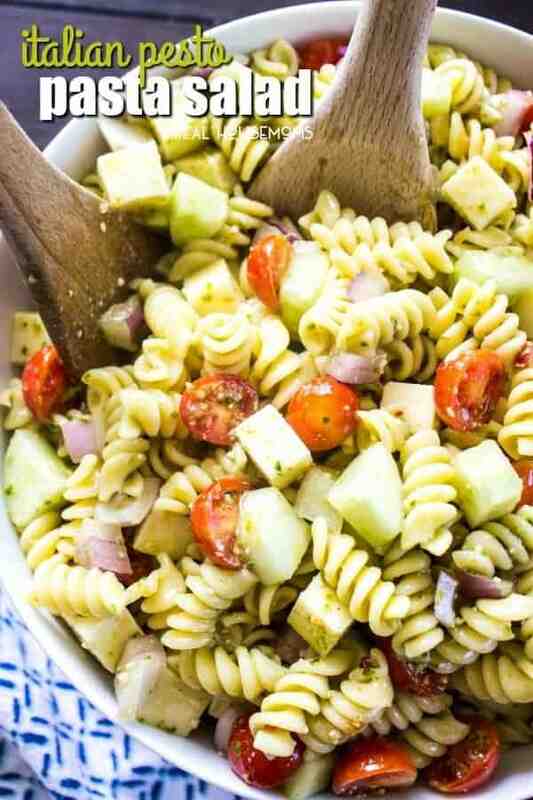 In a large salad bowl add pasta, dressing, onion, cucumber, tomato, and cheese. Toss to combine. Cover and chill for an hour and serve. This is a great side dish to make the day before.